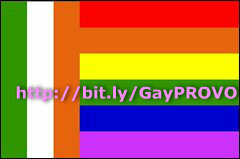 The military liberation forces of Ireland now enlist gay, lesbian and bisexual individuals. Liberation forces in Ireland have now removed all Catholic and Presbyterian policies of excluding gay individuals with new policies on preventing sexual harassment. British reactionary forces are however trying to exploit this as the video above demonstrates.